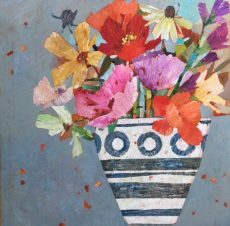 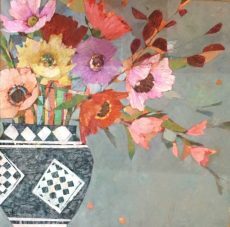 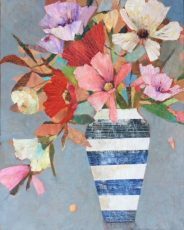 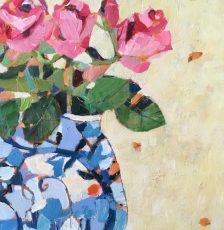 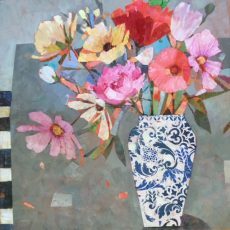 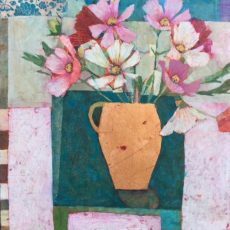 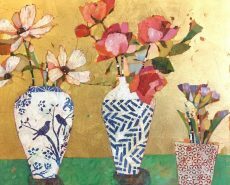 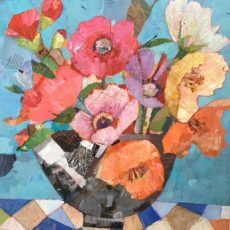 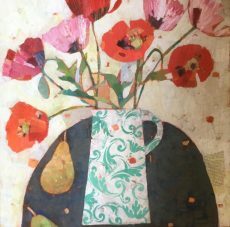 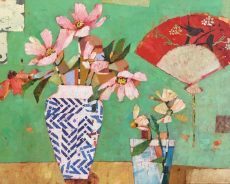 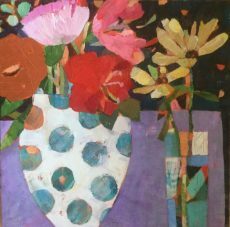 Sally Anne Fitter was born in 1963 and studied ceramics at Bristol Art School, gaining a First Class Honours Degree. 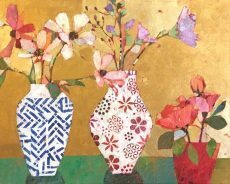 She went on to teach art and ceramics at Latymer Boys School, London. 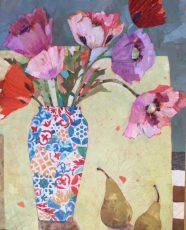 After a textile design course at Chelsea School of Art, Sally set up and ran ‘Digby Morton’, a textile design studio in London. 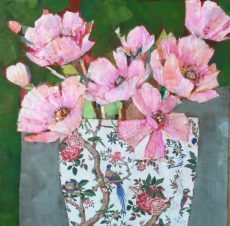 Her designs have been selling worldwide to clients such as Ralph Lauren in New York and Liberty of London. 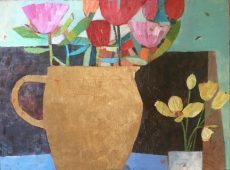 In 2003 she turned her hand to painting professionally. 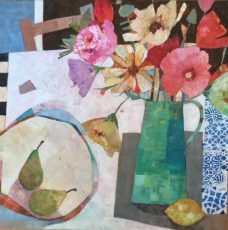 She primarily concentrates on the varied forms of still life. 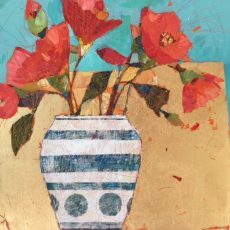 We love Sally’s imaginative eye for colour and her use of a warm, rich palette. 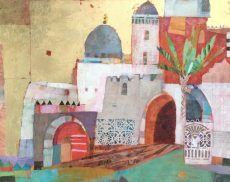 Her vigorous handling, developing surface textures, with numerous painting techniques, leads to a strong sense of design and composition. 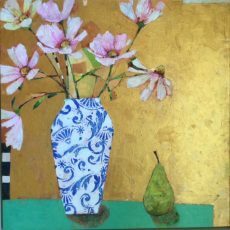 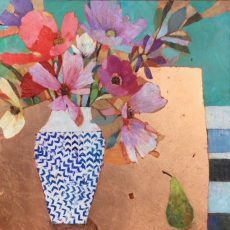 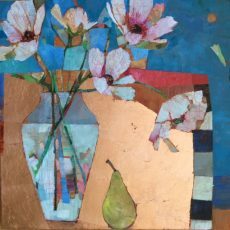 She also often uses gold, copper or silver leaf to great effect, her work blazing with life in the sunlight. 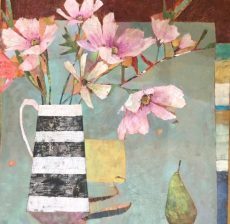 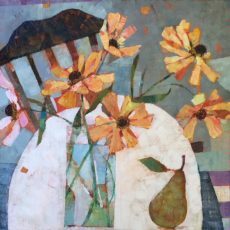 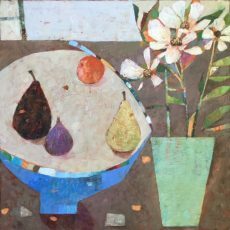 Her paintings capture a much loved and often painted subject in an entirely new, modern style. 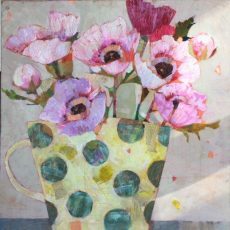 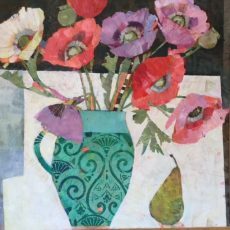 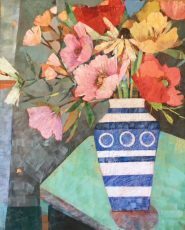 We always have new work from Sally in the gallery and she regularly features in our group exhibitions.